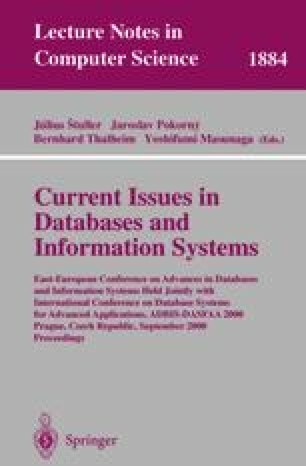 In this paper, we describe main-memory management and the most important buffers in the Vagabond server, a transaction-time temporal object database system currently under development at the Norwegian University of Science and Technology. Special emphasis is given to fine granularity buffering of OID index entries and objects. K. Nørvåg. Main-Memory Management in Temporal Object Database Systems,. Extended version of paper from 2000 ADBIS-DASFAA, 2000. Available from http://www.idi.ntnu.no/IDT/grupper/DB-grp/techpapers/.